First of all, The Detective is not in any way, shape or form, a Christmas movie. It's not set at Christmas, and it isn't about Christmas, and I'm not claiming anything to the contrary. So. Why am I talking about it? 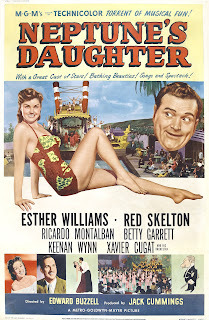 While this isn't a Christmas movie, it is indirectly connected to one of the most significant Christmas movies ever made. 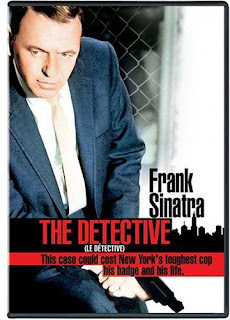 The Detective is based on a book by the same name, and that book has a sequel called Nothing Lasts Forever which would be adapted into a movie two decades after this one. Unlike The Detective, the name "Nothing Lasts Forever" didn't survive the adaptation: they changed it to Die Hard. In other words, The Detective is John McClane's origin story. Well, sort of. The main character in The Detective was named Joe Leland, and several details about his relationship with his wife were notably different. But other details, like him being a New York police detective who breaks rules, are consistent. Modern romantic comedies are hard to do well without either deconstructing the format or tossing in elements from contrasting genres. 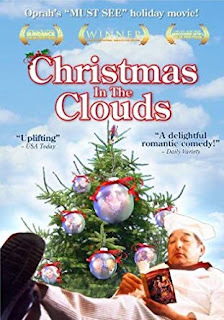 Christmas in the Clouds takes neither of these paths - at its core, it's just a romcom. It's fundamentally absurd, funny without being hilarious, and almost too sweet. But I'll be damned if it wasn't charming. This one works. It helps that it's set a long way from the typical locations these movies play out in. It's also featuring a very different cast: with only a couple exceptions, every character (and actor) is a Native American. The movie's two leads are Ray and Tina. Ray manages a ski resort owned by his tribe. He's expecting an anonymous reviewer from an influential guidebook to stay over Christmas and write up the resort. When a woman (Tina) shows up traveling alone from New York, his staff assumes they've identified the guide. They give her the best room and bend over backward to make her stay comfortable. Listen above, or on Soundcloud, Stitcher, iTunes, or almost any podcast app. References:Die HardCash on Demand2018 Morning Consult/Hollywood Reporter Survey2015 Mainlining Christmas Article: The Borders of Christmastown: Some Thoughts on what are and are not Christmas MoviesThe DetectiveNothing Lasts Forever, by Roderick Thorp Transcript: Erin: Yes. Erin: Sorry - this episode is called “Is Die Hard a Christmas movie?”, and I was answering the question. Lindsay: Oh, in that case, the answer is, “Hell, yes.” Obviously. Are we still really going through this? I thought this was settled. Erin: Apparently not. A survey conducted this year by Morning Consult and the Hollywood Reporter found 62% of Americans don’t consider it a Christmas movie. Lindsay: Wow. 62% of Americans are idiots. 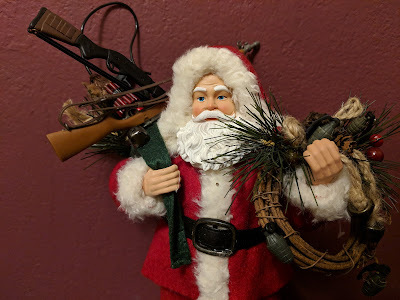 Welcome to the Mainlining Christmas 2018 Last Minute Gift Guide! This year, we wanted to help those of you looking for last-minute gifts by suggesting a handful of unique presents that are virtually guaranteed to still be on the shelves right before Christmas! Let's jump in! 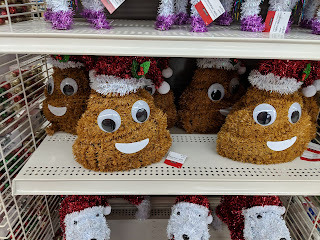 Christmas Noel Emoji Poop Decoration Let's face facts, everything you're giving and receiving this year is, at its core, crap, but this particular gift is abnormally honest about that fact. Featuring absolutely no features or worthwhile qualities, this is literally and metaphorically precisely what it appears to be. As a bonus, this looks as though it could be utilized as a tree-topper. I can't say for certain, though: I... uh... didn't really want to touch it and check. Who to buy it for: The perfect gift for anyone who actually liked The Emoji Movie or thinks this is somehow clever in 2018. Prince of Peoria is a new Netflix series attempting to replicate the formula of Disney's tween-focused sitcoms. Which means, right off the bat, it's going to be bad. That being said, it's sort of trying to be bad, so that makes it... still bad, but maybe successful? The premise of the series - at least insofar as I've been able to tell - is that the teenage prince of a fictional island nation is roommates with an American, and they're living together in a bowling alley. So... Perfect Strangers meets Coming to America meets Boy Meets World. It's certainly ambitious - and bizarre. Tonally, it's mostly farcical due to the absurd customs of the titular prince. In addition, he's accompanied by a bodyguard of... questionable mental ability. Actually, several characters are played as comically idiotic. Alright, cards on the table. This is one of those movies where spoilers are going to matter. But before we can get to things that shouldn't be spoiled, we need to address a handful that should. 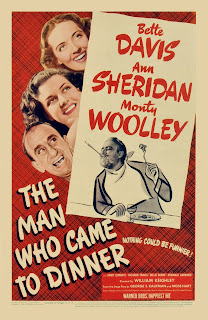 And by that, of course, I'm talking about the elements of this 1942 comedy that don't play so well in 2018. We've got a couple brief but not minor racist sequences, a touch of misogyny, and at least one moment where - despite the anachronistic impossibility - you almost expect a character to pull out a smartphone, open Twitter, and type #MeToo. The moments in this movie that aged poorly aged very poorly.